Brecon Beacons has been chosen to host a Race for Life Hike event for the first time. The Race for Life Hike along Brecon Beacons will take place on Saturday 30th June. Just eight iconic locations in the UK have been selected to hold Race for Life Hike events, which take place between May and September. Race for Life Hike is a series of one-day, long-distance walking events open to women of all ages and abilities. With each route offering striking scenery and beautiful views – from the UNESCO World Heritage coastline to the famous Brecon Beacons – it offers participants the chance to explore the great outdoors whilst raising money for a worthwhile cause. Cancer Research UK is calling on women in South Wales to sign up right now at www.raceforlife.org. Money raised will help Cancer Research UK scientists and doctors find new ways to prevent, diagnose and treat the disease, helping save more lives. The Brecon Beacons Hike starts at the Brecon Showground and heads towards the distinctively shaped summit of Pen Y Fan, the highest peak in South Wales. On a clear day the views from the summit are spectacular, both of the Beacons Mountain range and of the surrounding landscape. The route continues to Cribyn which enjoys some magnificent views back towards Pen Y Fan which then descend picking up the Taff Trail through the stunning Talybont Forest, walking past Talbont Reservoir before joining the Monmouthshire & Brecon canal at Talybont-on-Usk. The route continues along the stunning canal towpath all the way back to the Brecon Showground. Each Hike route is between 20 and 26 miles, involving a mix of challenging terrains, with an expected walking time of 8 to 12 hours. The routes are fully planned with maps provided at registration. Participants will also be treated to a hot meal, glass of bubbly and a medal at the finish line. Brenda Scott, Cancer Research UK’s Brecon Beacons Event Manager, said: “We’re so excited to bring Race for Life Hike to South Wales for the first time. 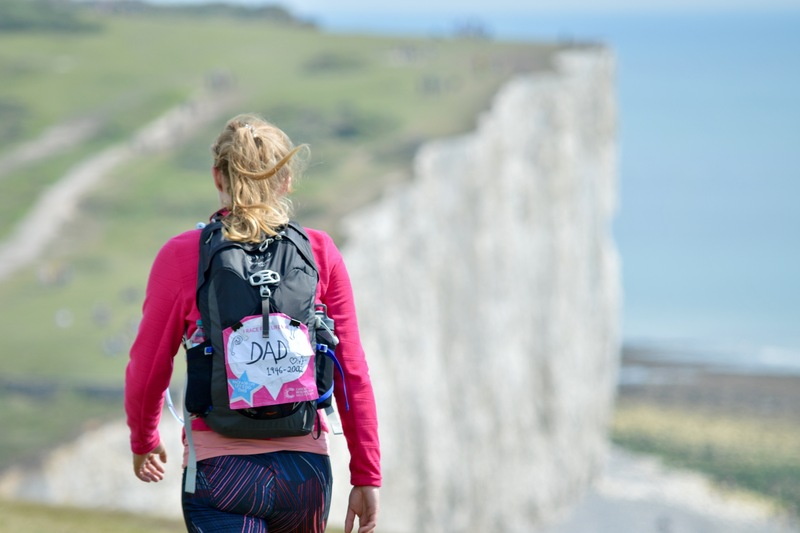 It’s the perfect opportunity for local women to make the most of the stunning scenery right on their doorstep, and help raise money for vital cancer research at the same time. Cancer Research UK’s Race for Life, in partnership with Tesco, is an inspiring women-only series of 5k, 10k, Pretty Muddy, Half Marathon and Hiking events which raise millions of pounds every year to help beat cancer sooner by funding crucial research. Cancer Research UK’s life-saving work relies on the public’s support. Thanks to the generosity of its supporters, the charity was able to spend over £4 million last year in the Wales on some of the UK’s leading scientific and clinical research – helping more men, women and children survive the disease. Brenda continued: “Race for Life Hike has all the fun and camaraderie of our much loved 5k, 10k and Pretty Muddy events. Whether they’re an experienced hiker or a novice rambler, by joining like-minded ladies committed to the cause, local women can unite against a disease that affects us all in some way. The entry fee for Race for Life Hike is £30. Women who sign up will be given a Race for Life Season Pass, offering free entry into unlimited 5k and 10k events to support their training. To enter Race for Life Hike today go to raceforlife.org or call 0300 123 0770.